thorium power | Watts Up With That? 1 week ago April 12, 2019 in nuclear power, thorium power. January 7, 2017 in nuclear power, thorium power. May 16, 2015 in Energy, thorium power. April 10, 2015 in Fusion power, thorium power. March 31, 2014 in Energy, nuclear power, thorium power. September 1, 2013 in Climate News, Energy, nuclear power, Opinion, thorium power. October 2, 2012 in Book Review, Energy, thorium power. 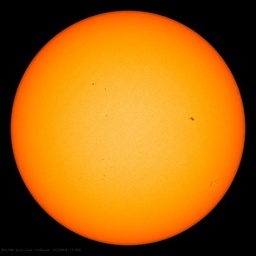 January 21, 2012 in Aerosols, AMO, Antarctic, Arctic, Climate data, Clouds, Cosmic rays, dust storms, Earthquakes, Energy, ENSO, feedbacks, geothermal energy, Gravity, hurricanes, Methane, Oceans, PDO, petroleum, Science, Sea ice, Snow, Solar, solar power, thorium power, tornadoes, wind power. Hey – how much Thorium you got under the hood? August 13, 2011 in Curious things, Energy, thorium power.